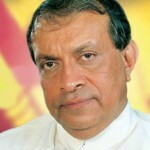 The United Bhikku Front that mooted the UNP Leadership Council has called on its just appointed Chairman Karu Jayasuriya to quit his post immediately. The UBF said Jayasuriya has broken faith with an agreement reached with Buddhist monks on Sunday at Kurunegala. UBF National Organiser Ulapane Sumangala Thero said Sajith Premadasa had done the right thing by refusing to accept a position on the Council. The Thero said UNP Leader Ranil Wickremesinghe had hoodwinked the Party and appointed his henchmen to the new Council. Wiping Out The Critical Intellect – Will the MR Push Us Into That Abyss?